Money is running low for Ip Man 3 so some cuts were made. What was cut? how can it be Donnie Yen? 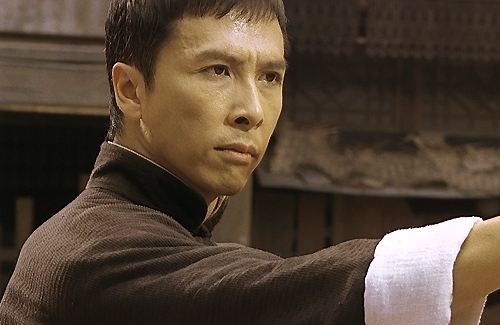 He is the Lead, He is Ip Man. Donnie wasn’t cut from the film but director Wilson Yip was. Raymond Wong the Producer spent 150 Million RMB to bring back Donnie and Yip to keep the Ip Man Films going for a third film. Now Ip Man 3 is facing funding problems and Wilson Yip wanted to cut production costs and was also worried about what the third film will do to the other 2 as in will it ruin the franchise. Yip felt it was better to not film a third film due to the lack of funding. Raymond Wong replaced Yip with his son Edmond Wong to direct and to skip on shooting the film in 3D to help the cost of the film. Donnie yen Announced that he is withdrawing from the film along side Wilson Yip as the two are friends and have worked on many films together. Sounds like they want to start filming with out and hope they get funds to bring back the Duo, but from the looks of it Donnie Yen and Wison Yip have jam-packed filming schedules and wont be available this year to film. Ahhhh! sounds bad and I was looking forward to seeing this as I’m sure Bruce Lee would be in this from beginning to end….not the actor/fighter but as a Character. So if this film is made with Donnie Yen I feel it could be bad as he will join in to late and if it’s not filmed with Donnie Yen, it would be a complete disaster. What do you think? Ether or, this film will take a while before it hits big screens if it does at all. Raymond Wong wanted to start shooting with out the proper funds set in place to get the film out fast but it ultimately back fired.